Though marketers generally accept AI’s growing influence, they hesitate to adopt it. Eighty percent of marketing leaders say that AI will “revolutionize” marketing by 2020, but many CMOs remain paralyzed on the sidelines, questioning how this kind of bleeding-edge tech should be used and if it will provide a marked return on investment. Ironically enough, at the same time we talk about the uncertainty that an artificial intelligence-powered future could bring, we are increasingly adopting these experiences into our day-to-day lives. From Siri and self-driving cars to connected devices like Amazon Echo and customer service chatbots, experiences powered by artificial intelligence will soon be the norm. People might not fully comprehend the growing role of AI in their lives, but they’re adopting it regardless, sometimes even unbeknownst to them. Even though marketers generally accept AI’s growing influence, they hesitate to adopt it (though they may not realize that if their brand invests in programmatic media buying, for example, they’re already deeply immersed in the world of AI). But although marketers are liberally leaning on AI to drive media buying and automate customer service, they struggle when it comes to its role within the creative puzzle. One way of thinking is to consider how AI could enhance existing programs and processes—those tried-and-true elements that have proven impact—and go from there. Here are a few ways to start thinking about AI within a more relatable context. Copybots, “robot journalism” and tools like Wordsmith have emerged as an efficient way to crank out tedious copy updates and iterations. Moreover, when machine learning can be used to speed up time-intensive yet simple tasks, brands and their partners can free up creative resources to focus on more strategic storytelling efforts, saving both time and money in the long run. We’re building an AI copywriter for one of our partners, for example, to understand and process users’ interests and create hundreds of lines of copy using natural language processing. This tool will be used to streamline the time and cost associated with producing copy variants, allowing the brand to invest more in strategic resources or media. One of marketers’ biggest challenges is keeping up with the demands of content generation without breaking the bank—per Accenture, 90 percent of marketers say their content needs will grow over the next two years. AI is already helping marketers fill the content pipeline by taking on and speeding up existing processes, but what about the secondary challenge of ensuring the content is relevant and contextual for those who experience it? In addition to generating an arsenal of content at scale, AI can be used to optimize these assets based on users’ interests or geography. We recently we teamed up with Saatchi LA for Toyota to create an AI-powered system designed to recognize more than 700 activities that exist in the world and then create opposite activities based on properties across the images. 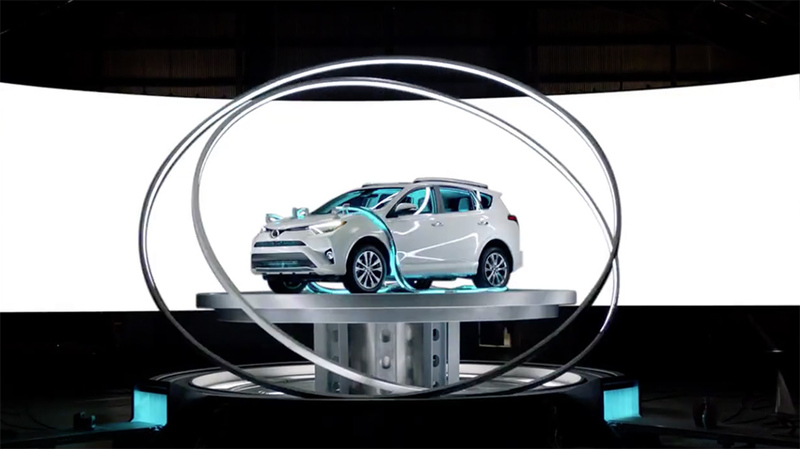 Dubbed the “RAVtivity Machine”—for the Toyota RAV4—the technology spit out 300 versions of the content automatically. Those were then served through specified interest layers within key distribution channels like Facebook, Instagram and Snapchat. Automating creative processes is one thing, but what about leveraging automated processes to drive creativity itself? Perhaps more powerful than the RAVtivity Machine’s ability to expedite manual workflows and recut content based on users’ interests and other inputs was its ability to draw novel correlations among the data sets humans alone may not have been able to do. In essence, a new AI-inspired creativity was born from an automated, pragmatic process. Last fall, 20th Century Fox promoted the movie Morgan by debuting the world’s first AI-produced trailer. The studio partnered with IBM’s Watson to identify the factors that comprise the scariest possible video and then incorporate specific elements into the teaser. Similar approaches have been used to test the production of other creative outputs, such as a music video. From a creative marketing standpoint, these types of use cases reflect the true prowess of artificial intelligence. If the Pokemon Go phenomenon of 2016 has taught us anything, it’s that augmented reality can penetrate the mainstream. In fact, Forrester predicts that by 2021, AR will drop its status as an emerging technology and become a basic part of people’s everyday lives. In concert, AI and AR technology can be used to create powered layered experiences that connect people with brands as they experience things in the real world. At CES, Lenovo debuted a pair of smart glasses that combined AI and AR in this way. Lenovo’s New Glass C200 works by capturing a wearer’s field of vision and then offering instructions to repair or troubleshoot issues as they are detected. Another example is Chevy, which we’ve helped utilize AI and image recognition to refresh the traditional car brochure into an AI-powered mobile experience. Prospective buyers who scan a Chevy Bolt brochure at their local dealership, for example, will automatically be served video content to better explain the car’s main features and differentiators. Unlike traditional barcode scanning or QR code reading, you don’t need a downloaded app for this—it’s all done through the mobile browser using the camera of the phone as the scanner and relying on the AI brain to connect the dots. The best way for brands to dive into AI is to view the technology within the context of their existing marketing objectives and determine how AI drives both practical and creative returns. Pragmatically speaking, AI can be used to optimize existing processes that have grown more challenging with the proliferation of content channels (and therefore formats). It can also be used to deliver more relevant content to consumers with fewer resources, saving time and money. Yet, below these surface use cases lies a more powerful one: the capacity of AI to surface previously untapped data correlations to drive unprecedented creativity and storytelling. It is this facet of AI that holds the promise to propel our industry forward—in 2017 and beyond. 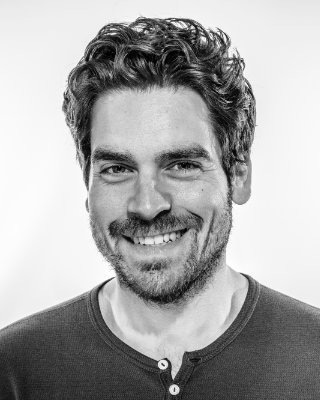 Chris Neff is executive producer, director of digital and experiential, with Tool of North America.